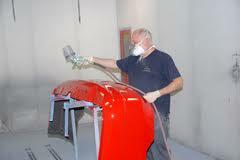 Frederick Auto Body Technicians are highly trained and certified. 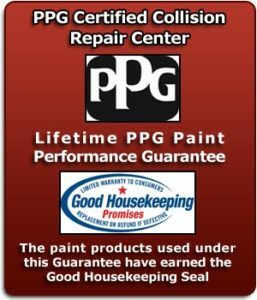 Our Paint technicians are Platinum Certified from PPG, and continue to take ongoing courses to stay up to date on all changes with today’s changing technology. Our body technicians are also certified through I-CAR (Inter-Industry Conference on Auto Collision Repair). I-CAR is a nationwide certification program involving classes and tests in each critical area in the repair process. The entire Frederick Auto Body team is continuously trained to stay up-to-date with all the latest advancements in the automotive industry. We take all insurance, and work on all makes and models. We also welcome COD customers and can work with estimate to make it as affordable as possible.